The Global Positioning System is the primary source of navigation data for most low-orbiting spacecraft with operational orbits under 3000 Kilometers. High-orbiting and Geostationary Satellites have also started using the Space Service Volume of the GPS constellation that is usable to a distance of about 322,000 Kilometers, the 1st Earth-Moon Lagrange point. Although GPS signals are also detectable on the Moon, current receiver technology is not capable of using them. 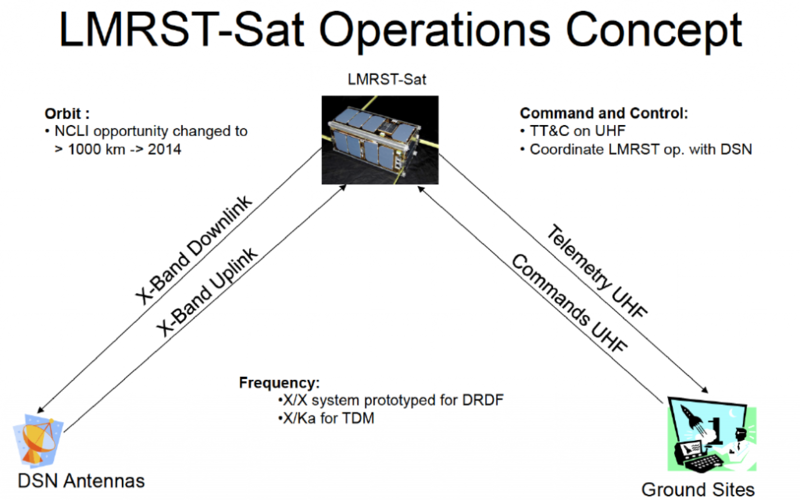 LMRSTSat will demonstrate the use of X-/Ka-Band ranging techniques to allow further study of Radio Science instruments that can be used for deep-space navigation, gravity field measurements and to examine the motions and cores of celestial bodies once landed. 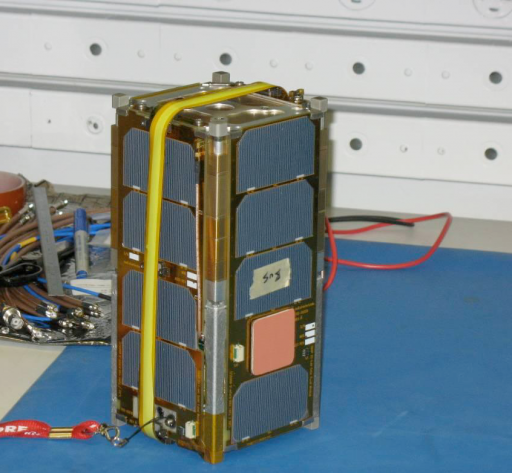 The satellite consists of two 1U Segments – a Pumpkin 1U satellite bus with standard CubeSat features such as solar power generation and distribution, attitude determination and control, VHF/UHF uplink and downlink communications systems and a data handling system. The other 1U segment uses a JPL breadboard X-Band system that is re-packaged to fit the form factor. A mechanical interface connects the two 1U segments and electrical and data interfaces have been custom made to be integrated with the bus segment. 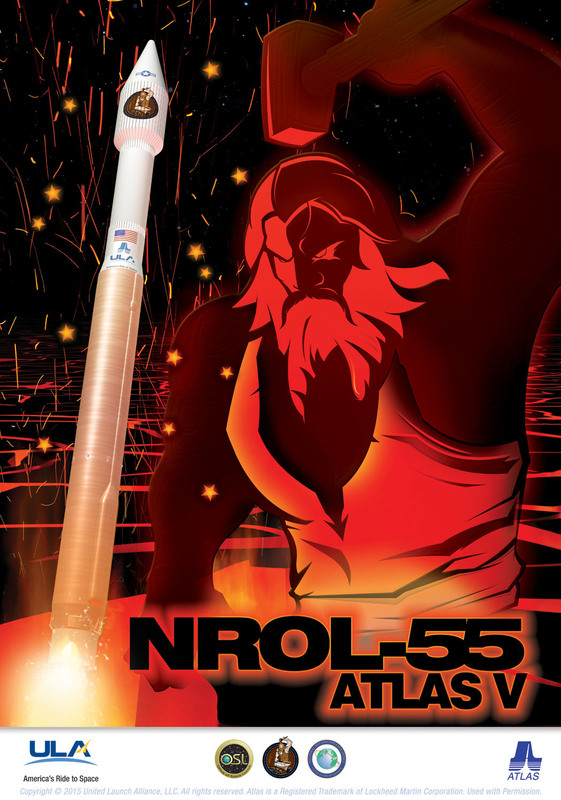 Turnaround ranging using the Deep Space Network involves the DSN station that sends an X-Band signal to the spacecraft containing ranging tones that it imposes on a carrier using phase modulation. When the spacecraft receives the tones, it sends them right back via X-Band downlink. The DSN station records the timing of the ranging tones uplink and the timing of the tone’s reception order to calculate the line-of-sight distance to the spacecraft. 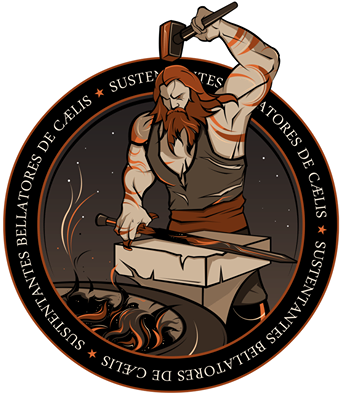 After processing of the data taking into account delays by the electronics on the spacecraft and the ground, atmospheric and ionospheric properties, interplanetary plasma, and relativistic effects, the ranging method has an accuracy of about one meter in the outer regions of the solar system. 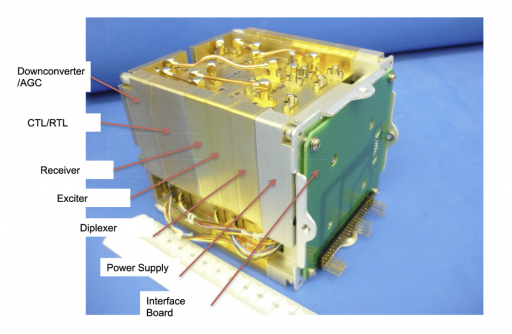 LMRSTSat will demonstrate the application of ranging in a small payload for potential future use in interplanetary spacecraft and nanoSpacecraft.